There used to be a legendary group in the history of Blackjack which shattered the international community of Blackjack. Using one simple technique of card counting in Blackjack, they easily grabbed millions & millions of dollars. This group was none other than the famous MIT Blackjack Team. MIT stands for Massachusetts Institute of Technology. Its story in reality follows. MIT, in 1979 started a course called "How to Gamble if You Must" for the first time which taught students the methods of card counting and playing Blackjack. Most probably this knowledge was put into practical use by some MIT students and tried out their luck in Atlantic City & were unsuccessful. Almost, all the original members of this team graduated and proceeded on their own ways. It is quite evident now that the idea of forming an MIT Team of Blackjack evolved with this one simple course offered in MIT. A member of the original group, one year later forms another group with an ambition of training them and trying hands in the Atlantic City. This time they successfully bounced back at Blackjack tables with their technique of card counting. In 1980s they started recruiting more MIT students to include them into their team and were progressively successful in their business. They followed all the rules of blackjack and even developed some unique blackjack tips for the gamblers. In late 80s the team lost its drive owing to exhaustion. But again in 90s it started the recruitment to rebuild the Blackjack team. 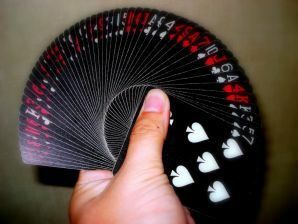 The team used the technique of card counting as a group for achieving maximum results. Of late, the casinos in Las Vegas and Atlantic City started listing the members of MIT Blackjack team & banned them from casinos. The members of MIT Blackjack Team scattered to the various parts of the world, but some stayed only to develop a better technique. Slowly the story of MIT Blackjack Team gained popularity. Ben Mezrich penned down the glory of this team in his book "Bringing Down the House". A movie called 21 (a good tribute to MIT Blackjack Team) came out on March 28,2008 which is based on the story of an MIT student who takes to card counting for paying his tuition fee. The movie packed with star studded cast was a superhit and succeeded in immortalizing the Blackjack. The Massachusetts Institute of Technology Blackjack Team was in true sense successful in making a good business out of card counting & gambling in a planned manner. At their peak the total number of members reached its highest to 80 and they can never be forgotten as the team could successfully crack the code of Blackjack.